Never judge a book by its cover. 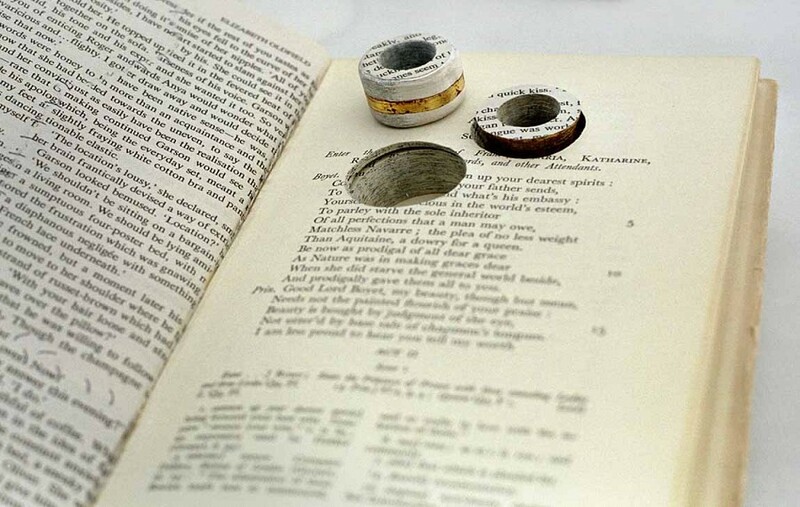 Originally inspired by a poem this collection looks at what we choose to hide about ourselves and what we reveal to others, a secretive library where things are not always what they seem. 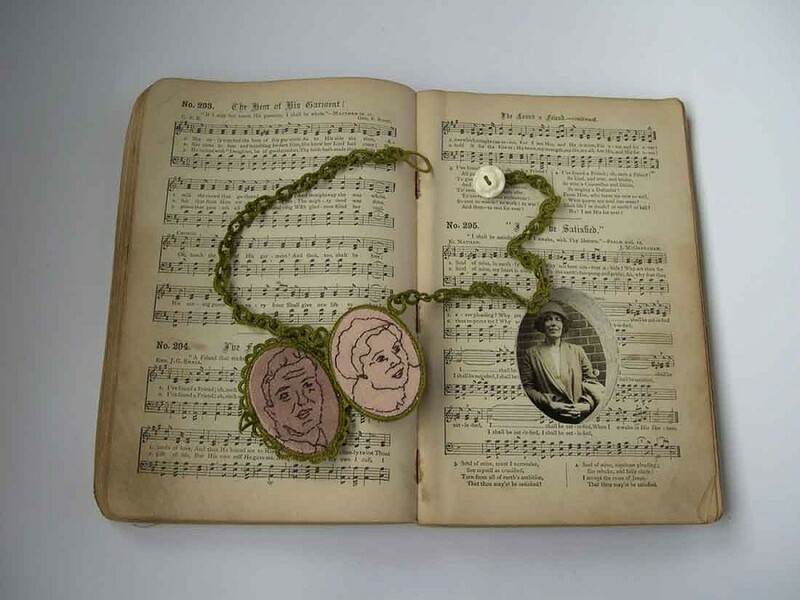 Jewellery and textile designer Betty Pepper uses poems and literature as inspiration to create whimsical and enchanting jewellery that encompass the richness and brilliance of the text that she refers to. 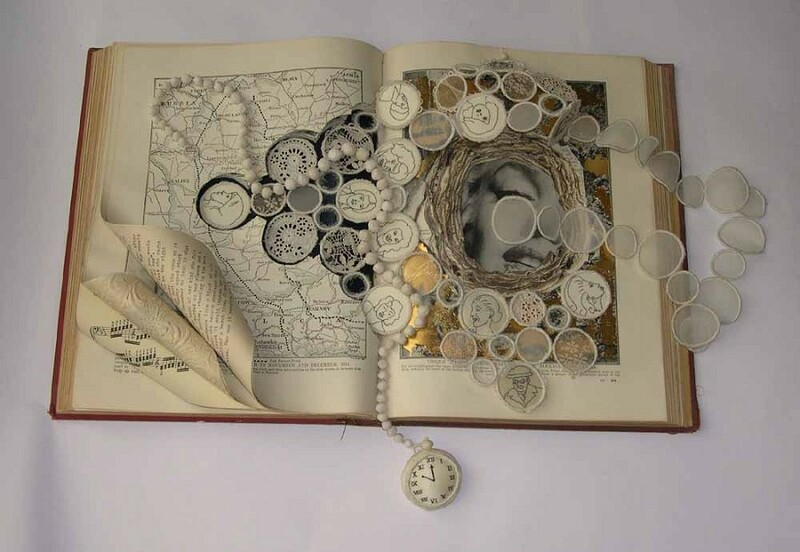 She hides these items of jewellery away in the books and partially embeds them, not only for the aesthetic appeal but to symbolise the secrets and stories that each book holds. 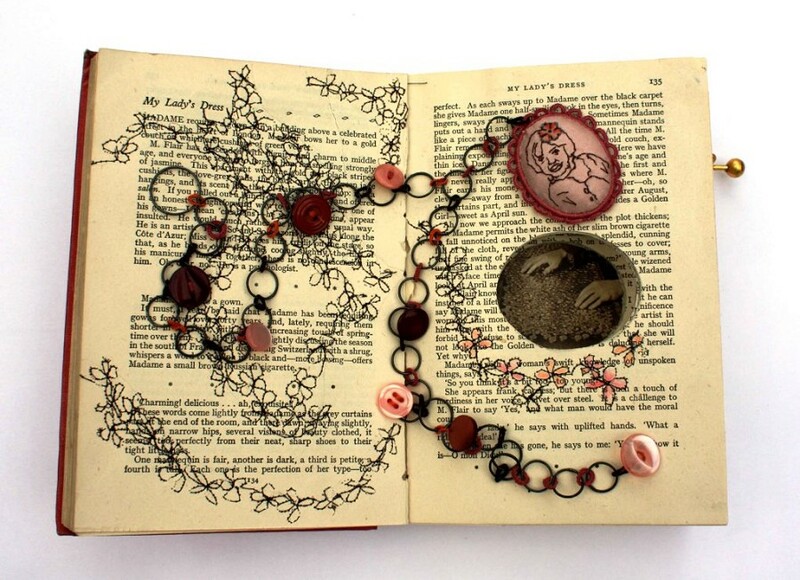 Betty Pepper finds may of the books she uses in charity shops, bringing a real sense of mystery to her jewellery’s context as each book has an unknown and unique identity. 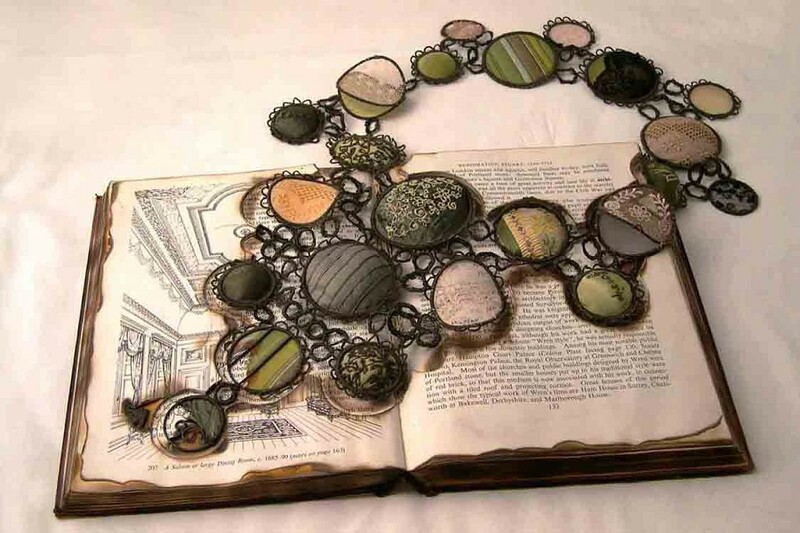 She is also an avid textile user, incorporating the use of aged and recycled materials into the jewellery to emphasis the antiquity of the books. 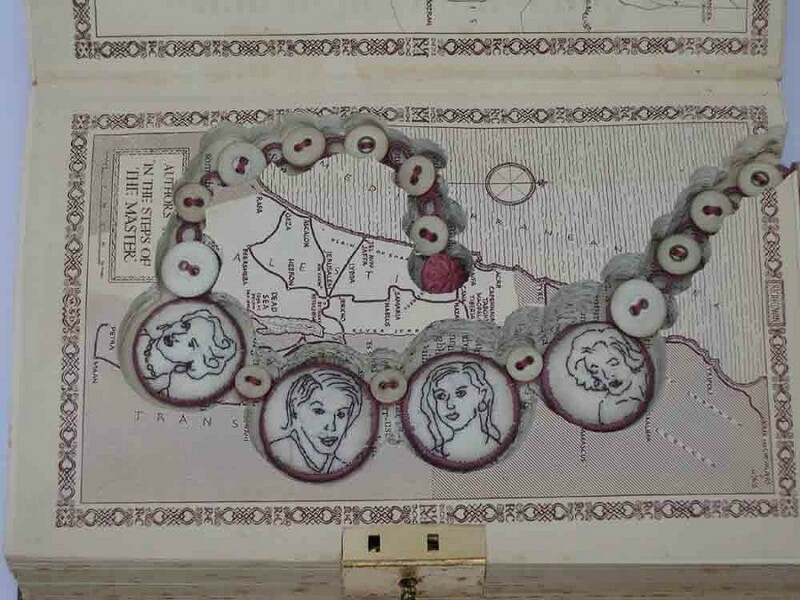 The fabric used also includes the concept of previous ownership as traces of perfume, old buttons and thread can be identified. See all the images of Betty Pepper’s ‘Never judge a book by it’s cover’ collection, as well as other projects, here.